Jay Morey is a freelance writer living in London who also happens to be a Sammo Hung fanatic ,so when she is not watching our Sammo.She has her own columns which she writes about Music and Sport.As well as film reviews. 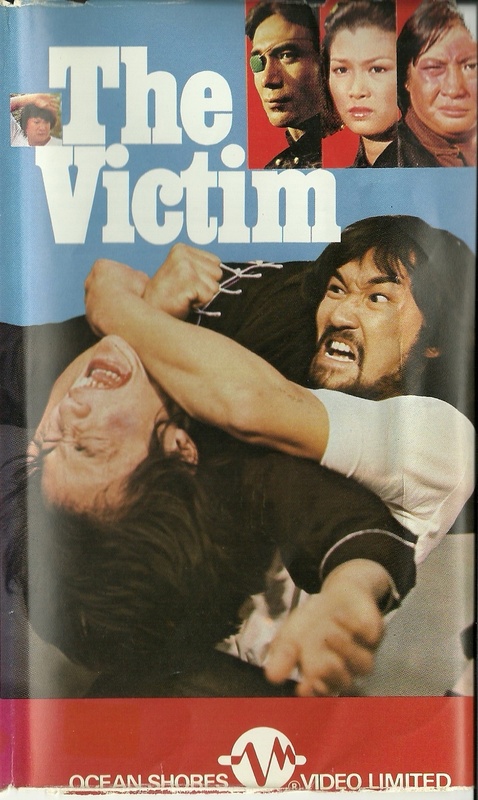 Sometimes overlooked, this early classic is a satisfying and finely balanced example of Hong Kong action cinema. An aficionado and casual fan favourite, The Victim displays stunning choreography, the then emerging talent of Leung Kar-Yan, and a plot speckled with bluffs and twists. Chen Rong (Hung), a drifter, likes to challenge his impressive fighting skills by throwing down gauntlets to renowned accomplished fighters, their masters and even their grandmasters. Yet when he encounters a man he is unable to beat, a reclusive named Chun Yao, he kowtows and begs to become his student. Yet Chun Yao is in seclusion with his wife, Yoo Yi, for good reason. His adopted father’s true son, Big Brother Ming, wants him dead and desires his wife. Although dismissive and irritated by Chen’s constant badgering, will tragic events force Chun to accept the irascible wannabe student so he can face Ming and his hired heavies? And will a mysterious man seen only in shadow, a secretive hitman, prove to accomplish his dark mission to kill Chun Yao before Big Brother Ming need dirty his hands? The Victim sees the teaming up of Hung and Kar-Yan once again following their successes together in ‘Knockabout’ and ‘Enter The Fat Dragon’. Leung Kar-Yan (known to HK fight fans affectionately as ‘Beardy’) sees him given centre stage quite unselfishly by co-star Hung. Leung Kar-Yan begun his career unschooled in unarmed combat, and rapidly learnt his impressive skills with various extra and cameo roles throughout the late 1970s. The Victim gave him chance to expand on his basic skills by practicing styles such as Northern style kung fu with luminaries such as Hung. Although at the time still regarded a novice, he does not disappoint. The style of Iron Cross he practices in this movie seems to have been in his armoury for many years, such is his seemingly effortless control and mastery. Humorous segments, one particular favourite involving Chen stalking Chun Yao to a gentleman’s sauna and copying everything he does, contrast deftly with the suspense built throughout the piece with the intermittent scenes featuring the unidentified Hitman, always clad in shadow, being paid in gold. This contrast pulls through the lining of the film with gravediggers meeting with a western stylised vampire and role playing from Hung, who assumes Chun Yao’s standoffish character in order to have an angry conversation with him as the man himself pretends to be ignorant of his existence. Making wonderful use of the New Territories in Hong Kong gives the film its sense of pre-developed China, offering age and setting. A scene of wannabe student against angry reluctant Master sees the starring men take advantage of fighting in each room of a house, flipping through open plan windows and duelling around Chun’s wife. Unfortunately a great scene involving Chen Rong in petulant bully mode is hard to see and savour as he takes on a steam bath full of naked men with an example or two of expert towel flicking. This is sadly due to the steam and white background and un-restored age of the movie. Another loss can be attributed to female lead of Yoo Yi. Her vacuous staring into the distance leaves the viewer unsure if her pivotal character is truly tormented by the fate that surely awaits her, or if she is generally unsure about how to play the role of plot instigator. Trademark weapon work interlaces with emotional intensity, perhaps slightly overplayed by the badgered Chun Yao, throughout this low budget masterpiece. The movie assumes a fine balance between comedic and crushing that ensures the series of unexpected twists play even sweeter to the viewer. The crucial final reel sees Hung hand the limelight to Leung Kar-Yan as he faces his foe. Although The Victim is a sure progression in the realm of HK villain laden ‘this time its personal’ endeavours, Leung is still allowed a line at home within any Shaw Brothers epic – ‘Stay out of this, or you’ll all die’. Perhaps we know the outcome of this withering attack, but the well timed tragic events preceding the epic battle give it much more depth and thankfully it doesn’t make the viewer cringe. The DVD is hard to get hold of and is a straight VHS to DVD transfer. However the scratchy frames and deviating colour mix set the viewer firmly in the warm and comforting filmic arms of old HK. The now defunct UK based label Eastern Heroes made sure the subtitles were updated and thankfully not burnt in with Mandarin characters as many direct copies can be, and a small extras section offers an interview with Sammo Hung and Yuen Biao (absent from this movie), and a stills gallery. 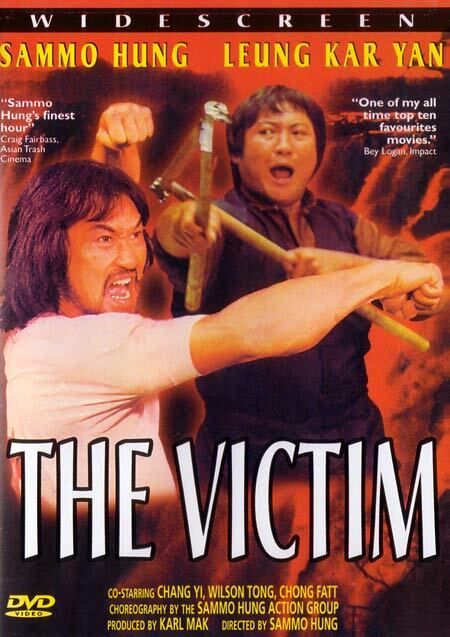 The Victim, oft overlooked but adored by those who have their hands on a copy, is smart, twisty and highly watchable.